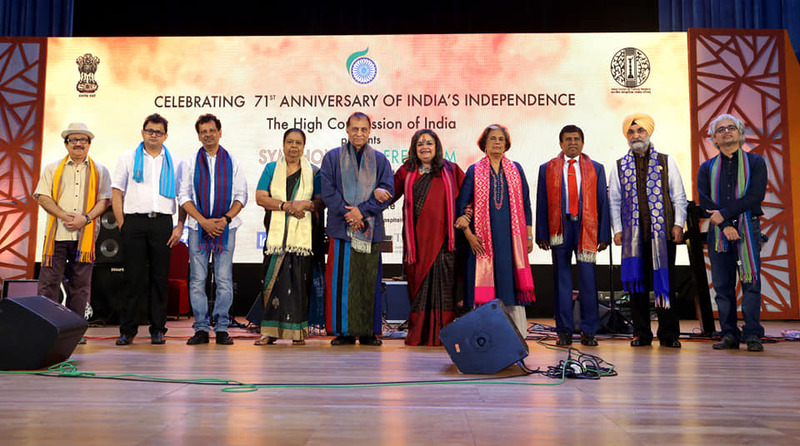 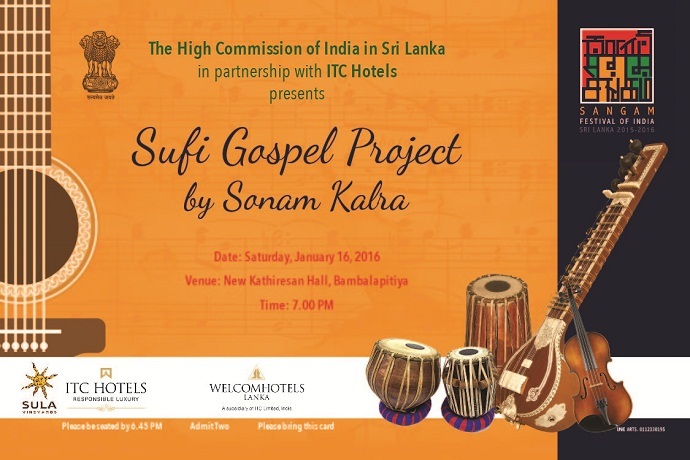 To celebrate 71st Anniversary of Independence of India and conclude ongoing India and Sri Lanka @70, mesmerizing performance of ‘Symphony of Freedom’ by renowned bollywood playback singer Usha Uthup and ensemble at BMICH Colombo on 15 August, 2018. 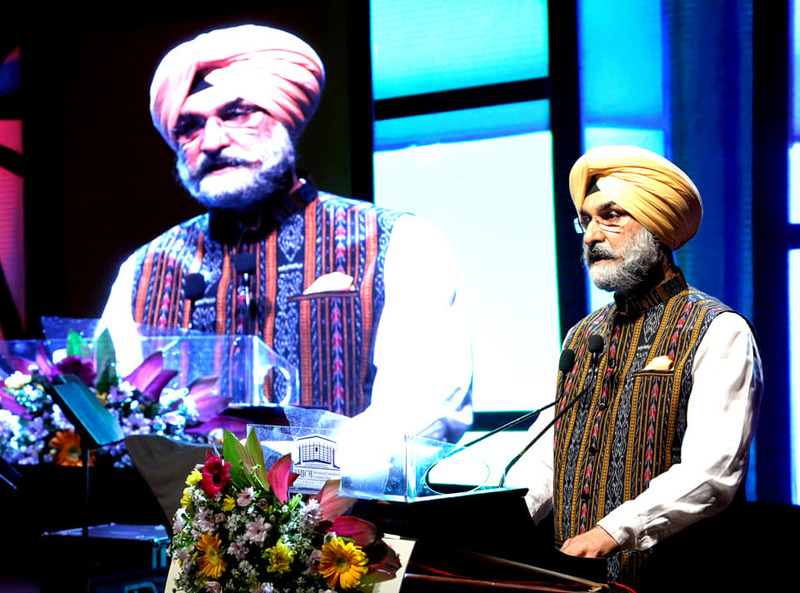 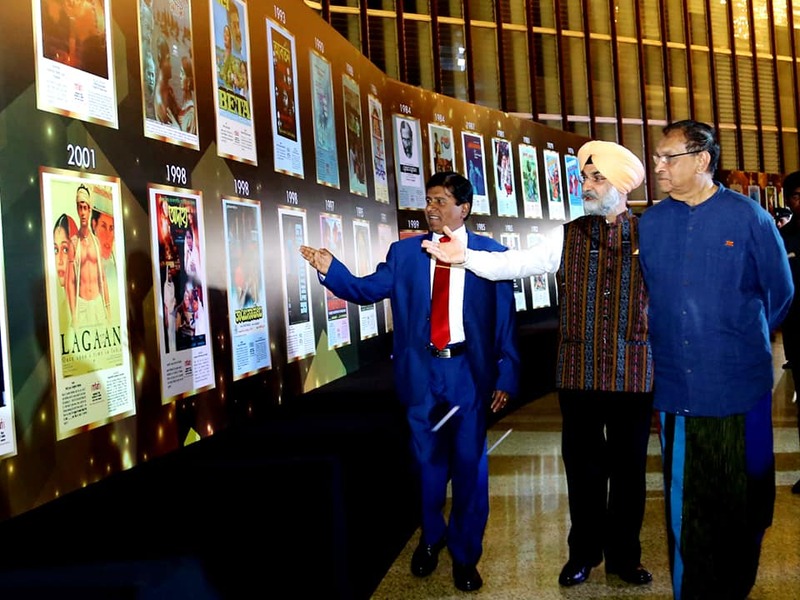 A special exhibition of 100 years of Indian Cinema was also organized in collaboration with National Film Archive of India. 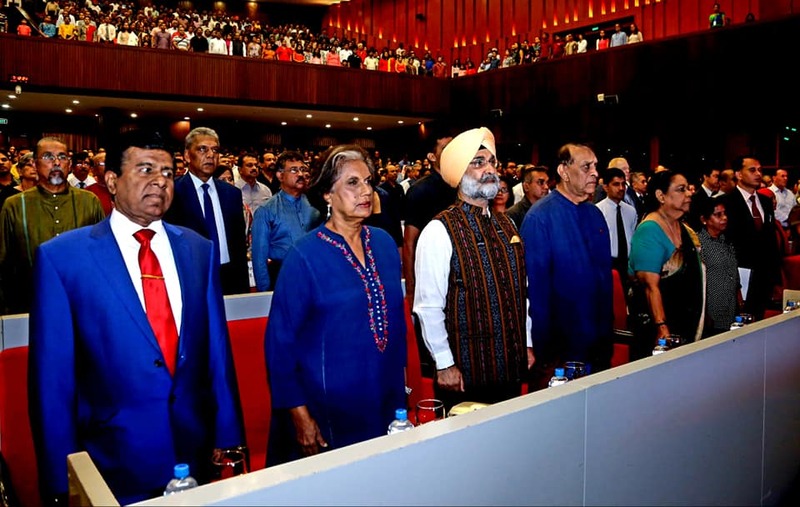 Hon’ble Speaker Karu Jayasuriya, H.E. 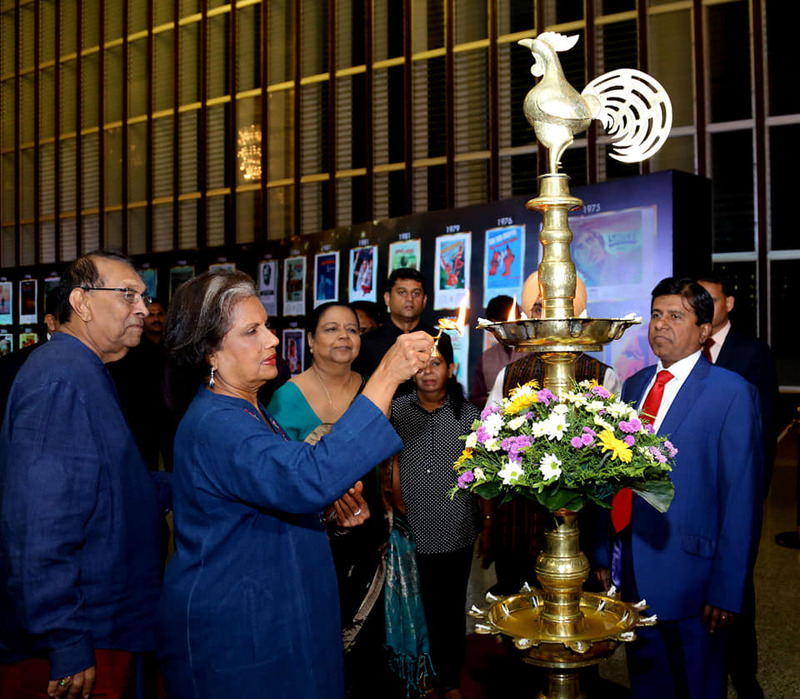 former President Chandrika Bandarnaike-Kumarathunga, Hon’ble Ministers, Deputy Ministers, Members of Parliament, Senior Government officials, celebrities, corporate gurus and college students enjoyed the unique evening. 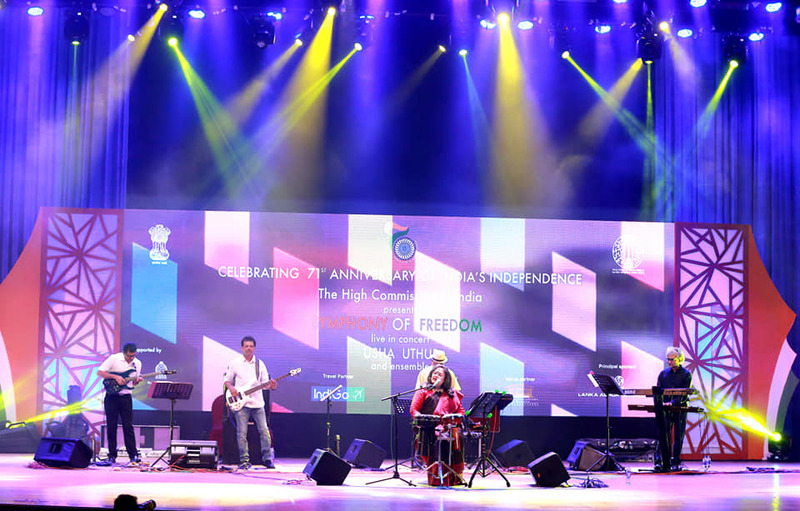 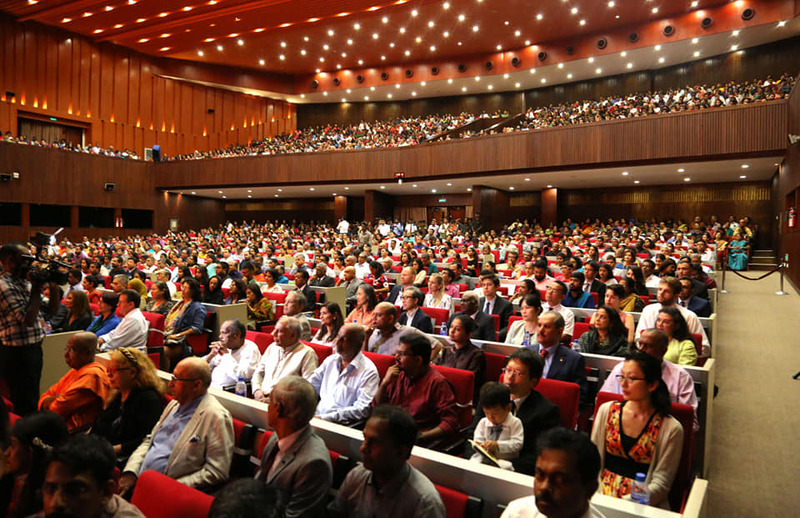 Jam packed BMICH auditorium was enthralled by Usha Uthup’s powerful voice. 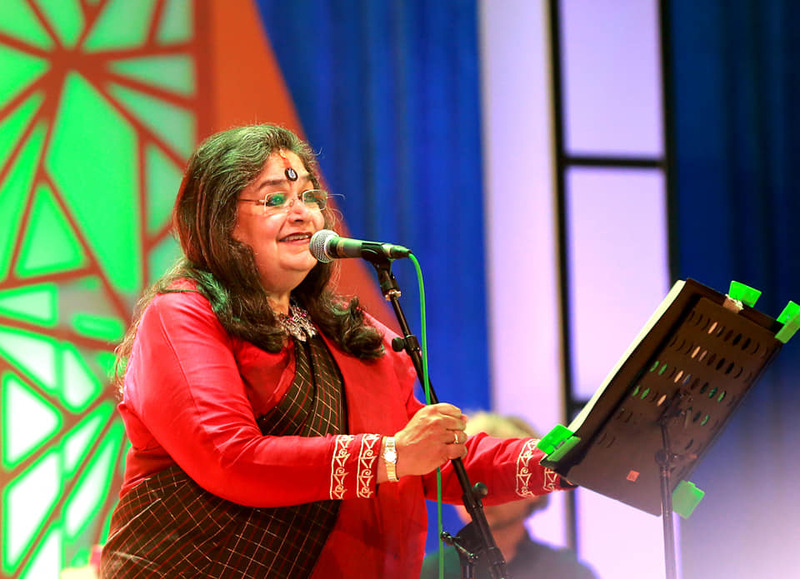 Sang in local languages too!